Nunsensations! 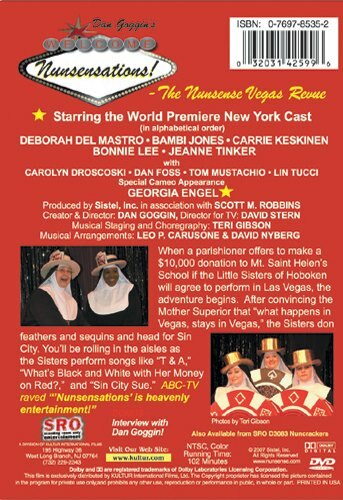 The Nunsense Vegas Revue takes the sisters on a brand new adventure. When a parishioner volunteers to donate $10,000 to the sisters' school if they will perform in a club in Las Vegas. Mother Superior is hesitant to accept. However, after being convinced by the other sisters that "what happens in Vegas, stays in Vegas" Reverend Mother agrees. 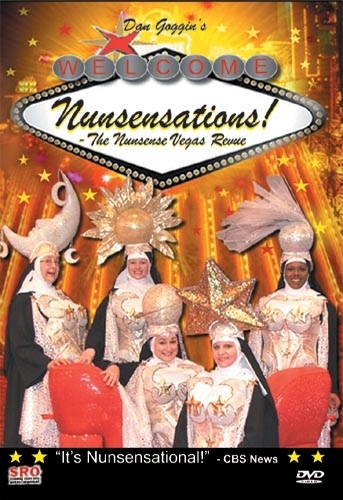 What follows is the most feather-filled, sequin-studded, fan dancing Nunsense show ever! Performing in "The Pump Room" at the Mystique Motor Lodge, the sisters experience "show-biz" like never before. You'll meet Sin-City Sue, find out who's Black and White with Her Money on Red, try to win a new car with the "Holy Rollers Giant Slot Machine." Taking a line from another show, a critic pointed out, "It's a whole lot funny and a little bit naughty but there ain't nothing' dirty going' on!" "If you're in on the joke from the start then you can relax and enjoy the frivolity. The crowd on the DVD was certainly into it. Now I know what it feels like when you miss a sly wink and a nod and take things at face value. Since this is the sixth Nunsense show, the wink and nod is obviously sly enough to keep many people entertained."